Hot Pool is a diorama in which a landscape of wax continuously transforms under the influence of melting and solidification phenomena. 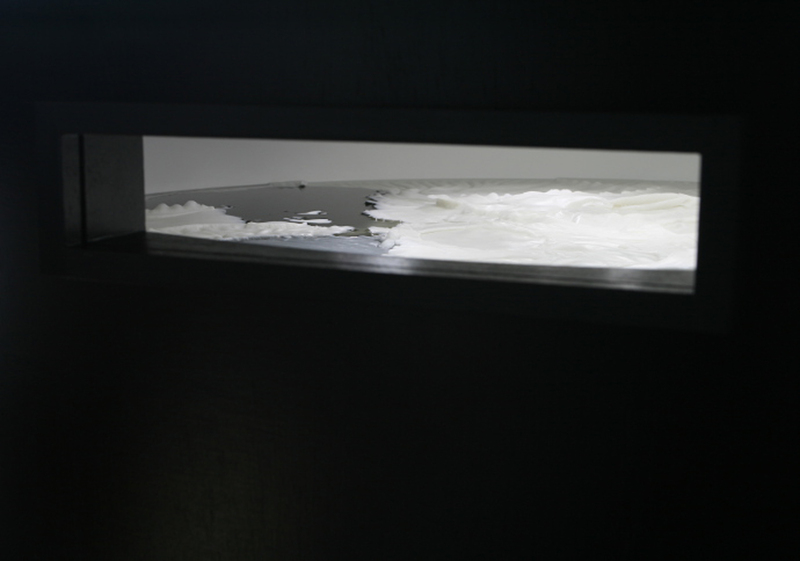 The installation is an autonomous generative system wherein candle wax and heat are the shaping elements. The ongoing process is visible for the audience through a small window. 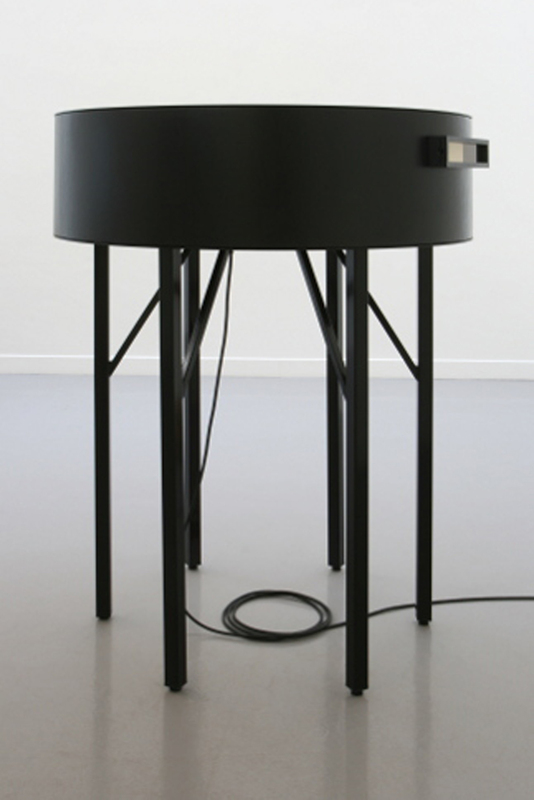 A black container is standing on six metal legs. A window opening is located at the front. Inside the container the basic facilities are installed: 20 kg of candle wax, 61 heating elements, fans, electronics and lighting. The heating elements are mounted underneath the bottom of the metal container. These elements are switched on and off individually by a special algorithm so that the candle wax melts locally and solidifies again after a while. Through expansion and shrinking during the melting and coagulation process an expressive landscape emerges that slowly changes in time.